From New York to New Mexico: Masterworks of American Modernism from the Vilcek Foundation Collection will open at Phoenix Art Museum on June 7, 2015. The exhibition includes 65 objects of American modernism spanning more than fifty years by notable artists like Stuart Davis, Arthur Dove, Marsden Hartley and Georgia O’Keeffe. The subject matter ranges from the skyscrapers of New York City to the adobe homes of the American Southwest. These objects are on loan from the Vilcek Foundation in New York that was started by Marica and Jan Vilcek, immigrants from the former Czechoslovakia. With success in their respective careers in art history and biomedical science, the Vilceks are collectors of American modernism artworks. 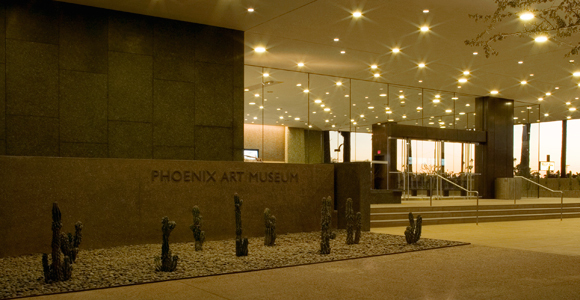 To complement the exhibition more than 30 paintings and sculpture of modernist American art from Phoenix Art Museum’s collection will also be on display. From New York to New Mexico: Masterworks of American Modernism from the Vilcek Foundation Collection will be at Phoenix Art Museum from June 7 to September 7, 2015.